Flip 2 coin.If it is both heads you may do any damage from 0-400.If one head you may do 0-200 damage. If all are tails you may do no damage. 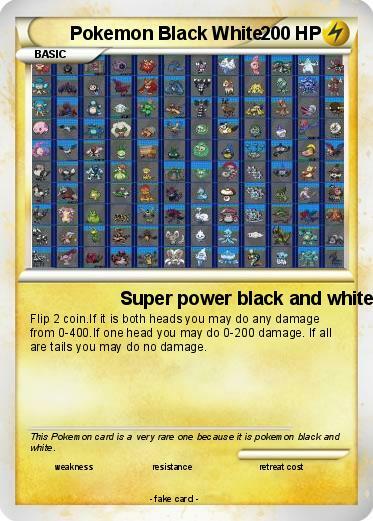 Comments : This Pokemon card is a very rare one because it is pokemon black and white.